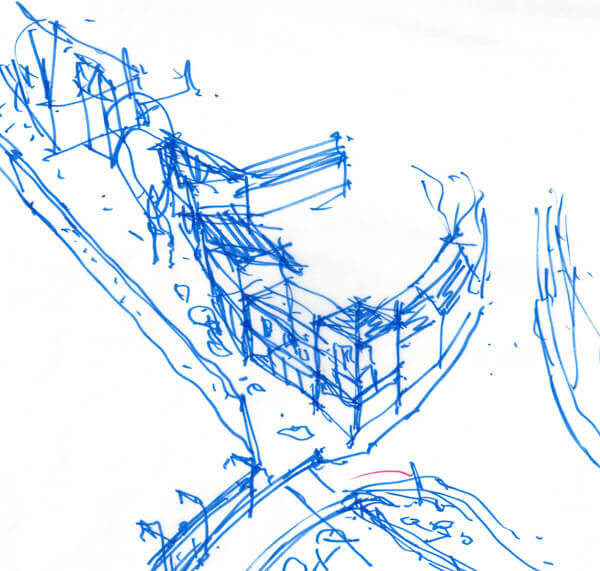 An initial sketch design of the site layout of a house helps us consider the relation of the building to the wider context of the garden and in turn the surrounding countryside. 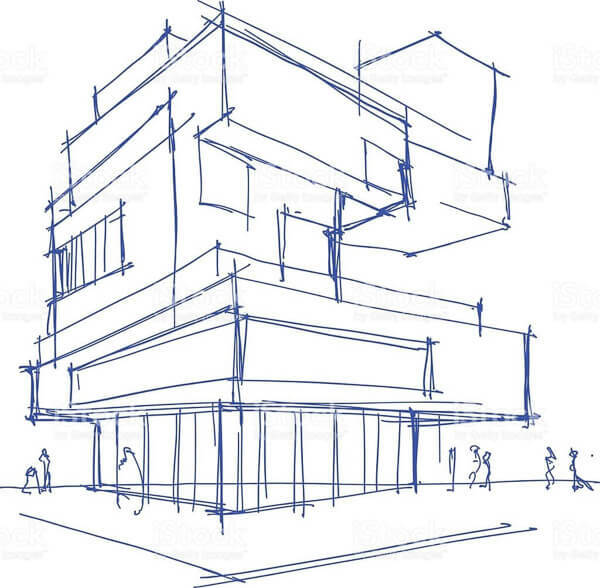 When designing a large development it is important to consider the visual impact of the development from street level to ensure that the building proportions and heights are appropriate. The double sided inset stove in this house was a particularly important design element and we wanted to explore the relationship of the feature wall to the steps and balustrade. 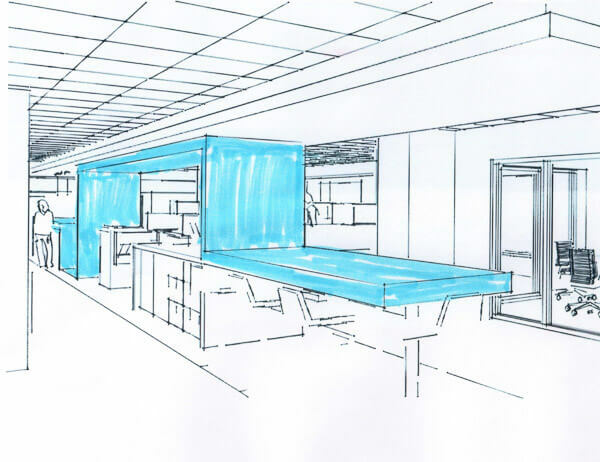 We completed this 3-D sketch to visualise the impact of the blue feature wall running through the open plan office fit-out- you can see the results under the commercial section of our web site! 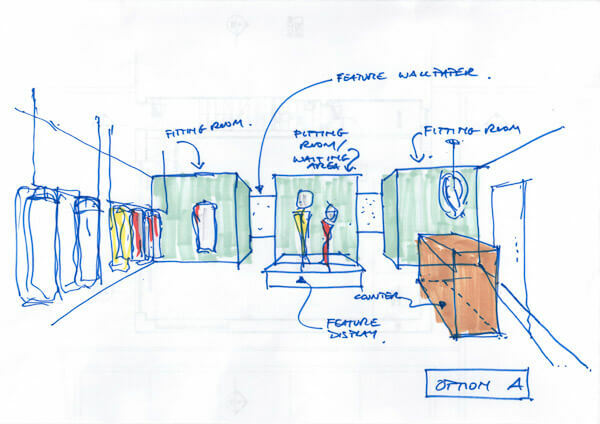 This is an upcoming project for a retail clothes chain in the south east. We are hoping to install the hanging rails so that they hang from the ceiling leaving the floor completely free of clutter- we can't wait to see the final result. 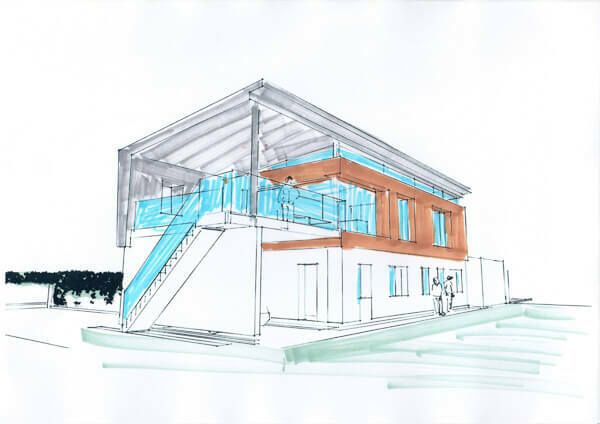 This 3-d sketch was completed for the passive house we did in Tullow- needless to say we didn't present this actual sketch- hence the doodles at the bottom! 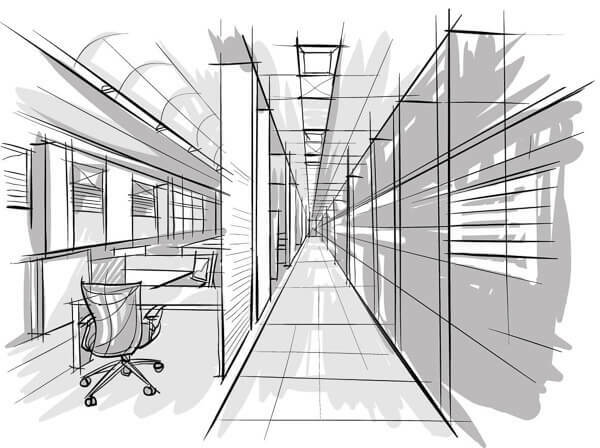 When completing any design, be it a one off house or an office fit-out, it is important to generate 3-D's of the design to present to the client. 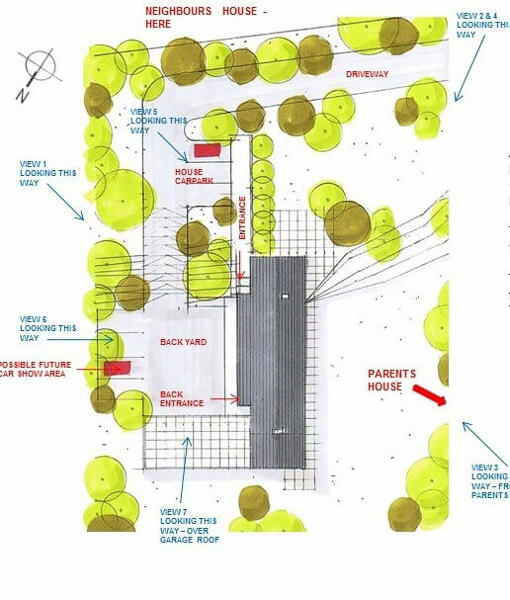 When completing sketches for a design it can be important to include some context to help the client and other stake holder's engage more with the proposal. 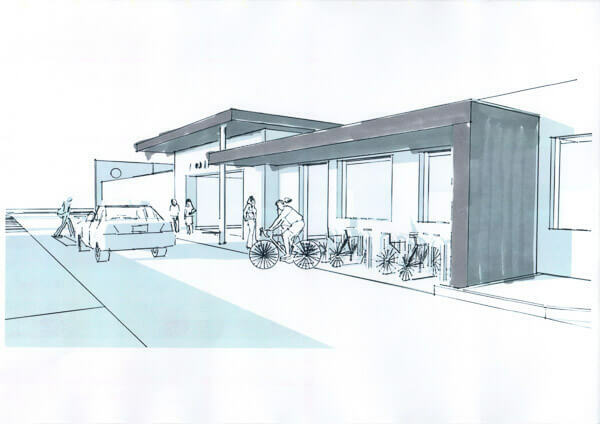 It is the bikes, cars and people that make this 3-D sketch come to life. 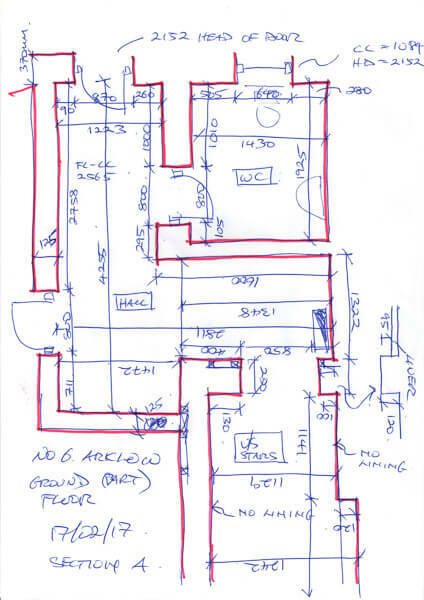 Before we get to do the fun design stuff we sometimes have to complete a measured survey of any existing buildings. It's tedious work but someone's got to do it! 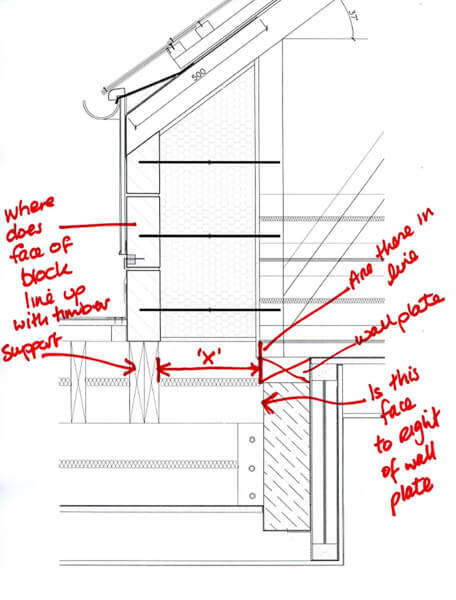 When communicating back and fourth with building contractors we quite often have to mark up or sketch over construction details as per the image above. 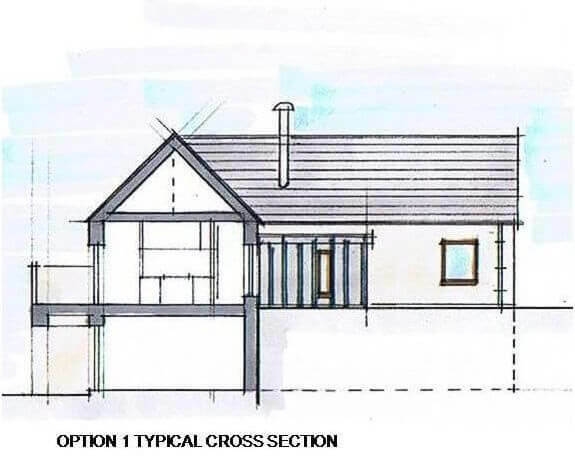 By adding a bit of colour to the floor plan of this thatched cottage it helped our client understand our proposal better. 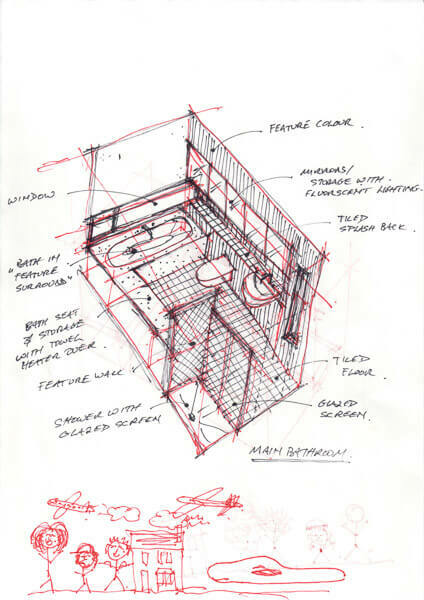 At the initial stages of any project, large or small, it can be important to keep the sketches loose- people do their best work when they are relaxed! 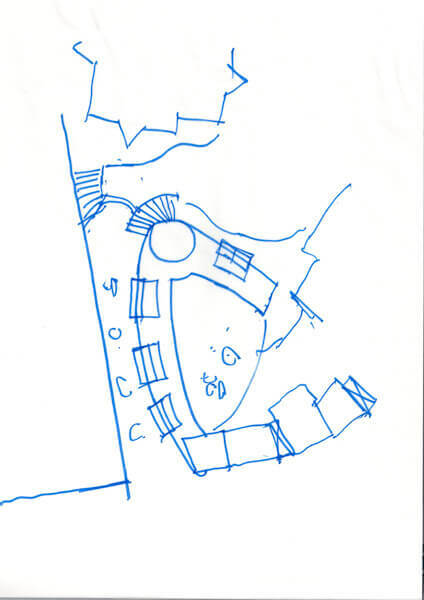 Hard line computer generated drawings of a design can make the design look a bit incongruous but when you add landscaping and context it is easier to imagine the actual visual impact of the development. 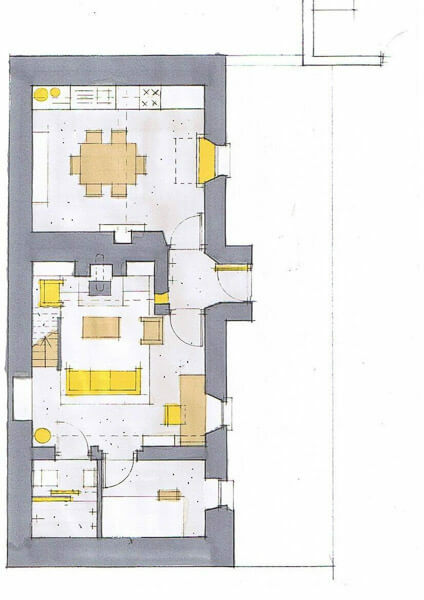 We sometimes overlay existing drawings with our sketches so that the client can understand the design proposals, and their relationship to the existing building, better. By colouring in a 3-D of a house it allows us to experiment with different materials and how they look/ relate to each other. 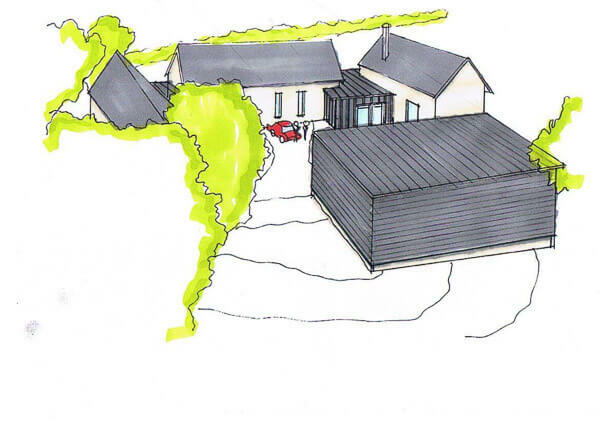 This is very close to the final design we settled on for the house design in Kilanne- see our passive section on our web site for the final result. Before computers we did a lot of drawing on drawing boards- hence the term "back to the drawing board!" This is a section I drew with a pencil not a mouse! 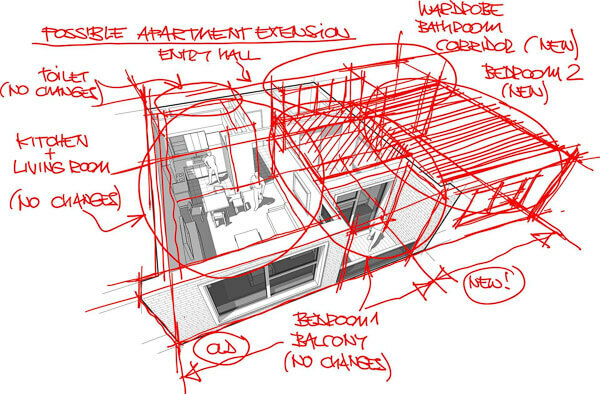 Quite often, during the design process, we revisit initial design sketches we would have completed for a development to ensure that during the design evolution process the initial concept has not gotten lost- trust us it can happen! 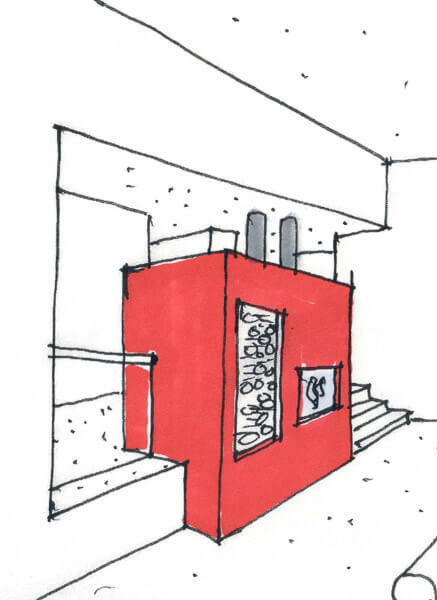 This is a sketch completed as part of the preparation of the Fire Safety Certificate Application. 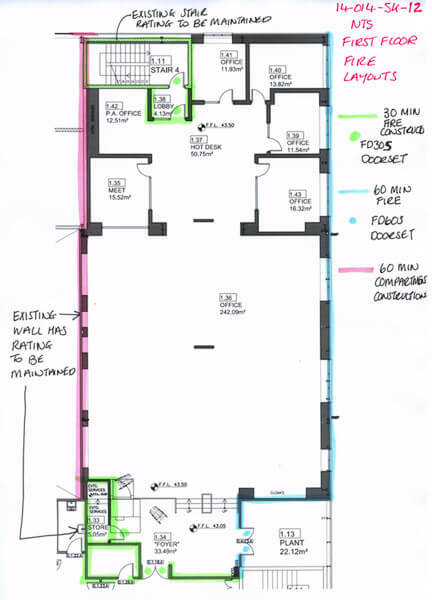 The fire rating of the various walls is colour coded on a sketch before generating the hard line AutoCAD drawings.